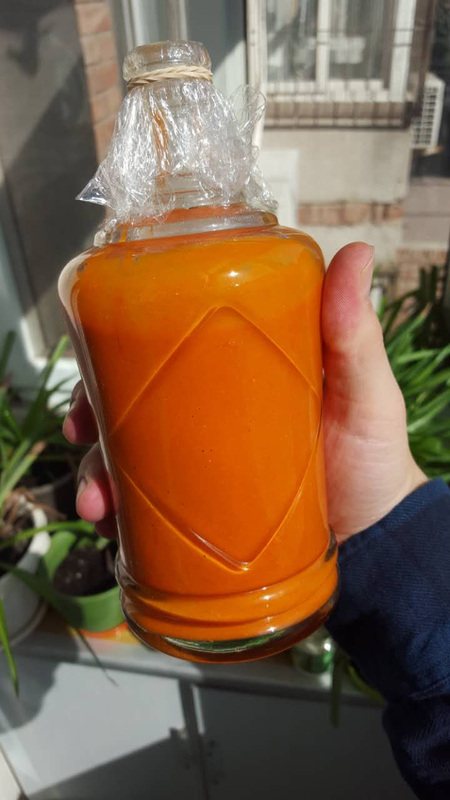 The weather is cooling down, so why not make hot sauce!? I think I found my new hobby. China has some spicyyy peppers, but the "hot sauce" we know and love is nowhere to be found! So... I made some! You can see the Nickelodeon-orange concoction I came up with. I'll let it mature for a week, then I'll let you know how it is! This past month has been jam-packed with all kinds of great things. I'll tell you a couple of highlights and let the pictures do the rest of the work! 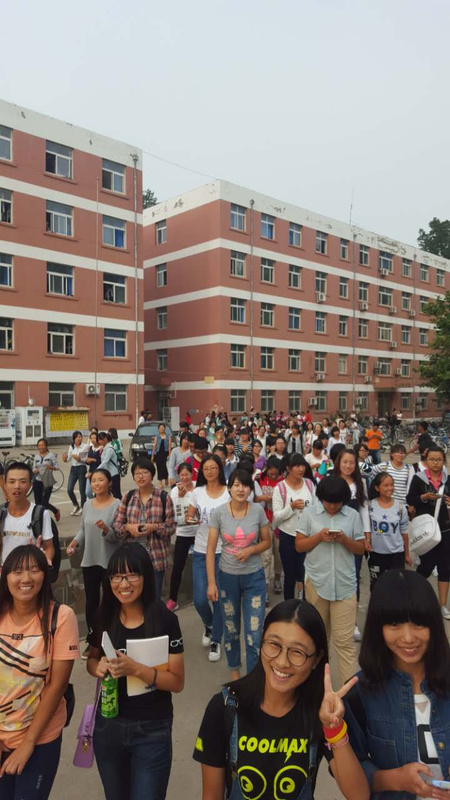 English Corner has been popular, especially amongst the Freshmen. Take a look at the picture below and you can have some idea. This was taken at our first English Corner after the Freshmen arrived. Lately the crowd has been a much more manageable size. Our first English Night was this past Friday. We sang songs like Katy Perry's "Firework", played a "mystery food" version of hot potato, and my talk was on purpose. I encouraged our friends to seek the highest purpose worth living for. We'll discuss further what this means when we meet with the students one-on-one. Be "thinking" about those conversations! We had a 9 day fall break, so I took that as an opportunity to visit Caroline. We had a great time as we went to an aquarium, saw a 230ft Buddha statue, celebrated 2 holidays, ate mooncakes (a special food for the Mid-Autumn Festival), saw 2 movies in theaters, went out for pizza one night, and many more things! She'll come visit us next month! Think about our team as we continue to work on the time we spend with each other/ with students/ and alone time. We each have different needs and expectations, so be thinking of us as we make sacrifices with each other and learn to respect and understand each other's needs. Busy weekends in the fall means inconsistent times for English Nights. Unfortunately we can't have an English Night every-other weekend like we'd like, so we just want to lift up that this won't cause confusion and keep people from coming out. Continue to think of me as I continue to learn and grow as team leader. When I make mistakes, that they are opportunities to learn and not to form habits.